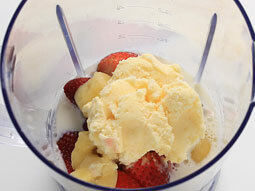 Strawberry Banana Milkshake prepared with this recipe is an ultimate summer cooler. 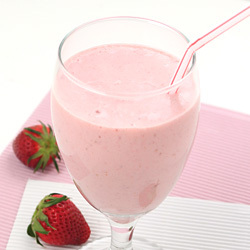 Creamy shake of calcium and energy rich banana, milk and vitamin C rich strawberry is a celestial fresh fruit drink that can provide enough energy to keep you on your toes for few hours. 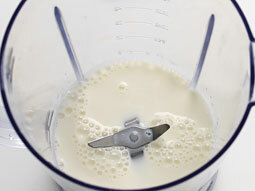 Pour milk in the jar of a blender or mixer grinder. Add frozen or fresh sliced banana (in this recipe, frozen banana is used). Add ice cream and sugar. 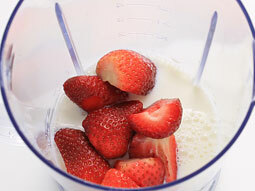 Blend until fruits are well blended and there are no chunks of them. Pour it into a serving glass and serve. 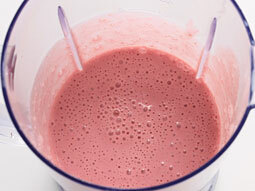 For thicker shake, use frozen fruit instead of using fresh fruit. 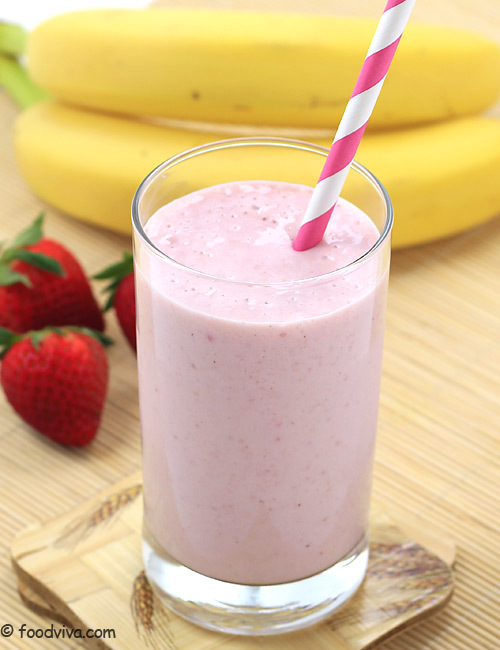 Add 1 teaspoon protein powder to make banana strawberry protein shake. 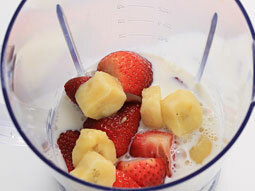 To make healthy thick shake, skip adding ice cream and sugar and add extra 1/2 banana (total 1 banana) in this recipe. Serving Ideas: Starwberry banana shake with milk is a thick fruit shake that can be serve in the breakfast or as a dessert. It is a perfect milkshake for kids. This is amazing!! You have to try it. I haven't tried this recipe yet, I have a similar recipe to this and it is truly the best thing I have ever tasted in my life!!! I feel like it now. But I am not allowed to make any as I ate ice-cream from Hungry Jacks today. Oh well, tomorrow's another day!!! I tried this and it's really good!! I liked it a lot. Response: Thanks for asking the question but we haven't calculated the nutrition facts of this milk shake.